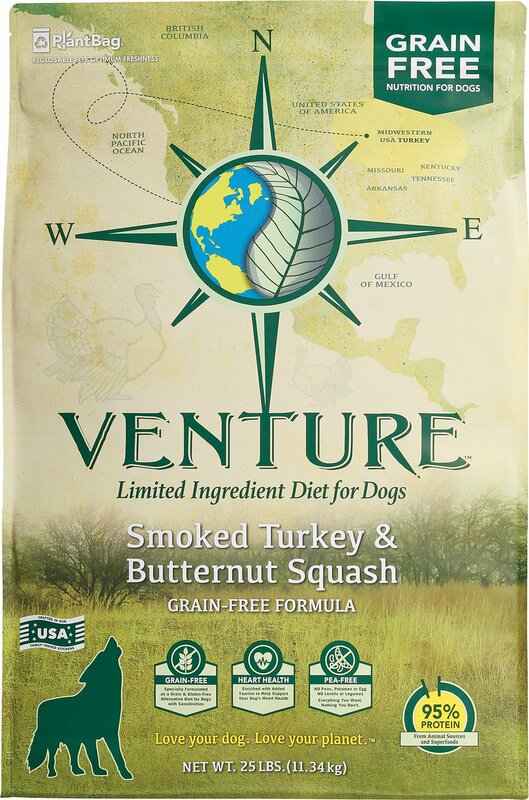 Pamper your pooch while addressing his skin or digestive sensitivities with the lip-smacking taste and exceptional nutrition of Earthborn Holistic Venture Turkey Meal & Butternut Squash Limited Ingredient Diet Grain-Free Dry Dog Food. Your pup will dash to his bowl for the irresistible flavor of fresh fowl, and with no grain or gluten, corn or soy, fillers or additives, you’ll love knowing that your furry best friend is eating an exceptional food made with superior ingredients. 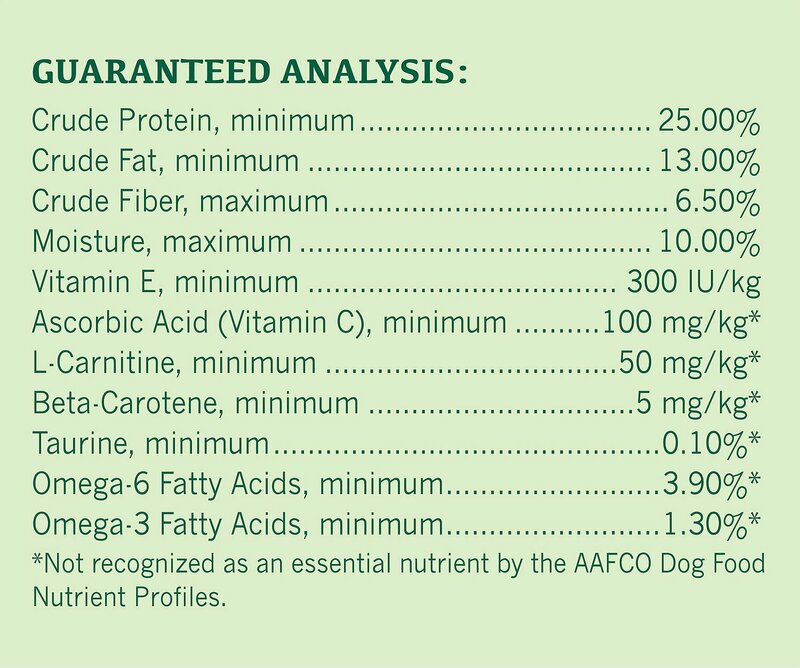 Meticulously formulated to satisfy all of your dog’s nutritional needs, this limited ingredient diet is also a rich source of protein, fiber and the other essential nutrients he needs for superb digestion, a lustrous skin and coat, and optimal overall health. 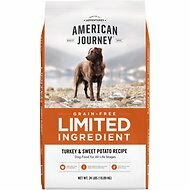 Turkey Meal, Butternut Squash, Chickpeas, Sunflower Oil (Preserved with Mixed Tocopherols, Flaxseed, Natural Flavors, Potassium Chloride, Salt ,Choline Chloride, DL-Methionine, L-Lysine, Taurine, Vitamin A Supplement, Vitamin D3 Supplement, Vitamin E Supplement, Zinc Sulfate, Ferrous Sulfate, Niacin, Folic Acid, Biotin, Manganese Sulfate, Copper Sulfate, Calcium Pantothenate, Thiamine Mononitrate, Pyridoxine Hydrochloride, Riboflavin Supplement, L-Ascorbyl-2-Polyphosphate (Source of Vitamin C), Zinc Proteinate, Manganese Proteinate, Copper Proteinate, Calcium Iodate, Sodium Selenite, Vitamin B12 Supplement, Yucca Schidigera Exrtract, Rosemary Extract, Green Tea Extract, Dried Enterococcus Faecium Fermentation Product, Dried Lactobacillus Casei Fermentation Product, Dried Lactobacillus Acidophilus Fermentation Product. Earthborn Holistic Venture dry dog foods have been developed to meet the needs of every canine diet, even those with more sensitive stomachs. Earthborn Holistic ventured across the world to find the perfect nutrient-rich ingredients without skimping on the necessary nutrients and proteins that your pet needs to thrive. 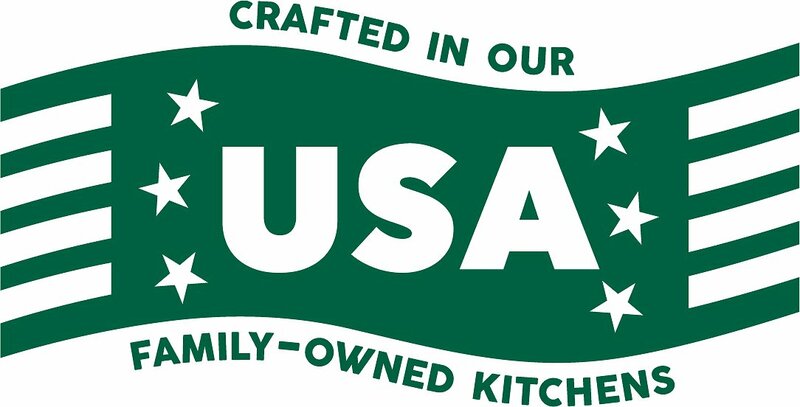 Their flavorful limited ingredient recipes are made with a single unique animal protein and a total of only 5 or 6 main ingredients. Earthborn Holistic Venture dry dog food helps support every part of your dog's body so that they can live their happiest and healthiest life. 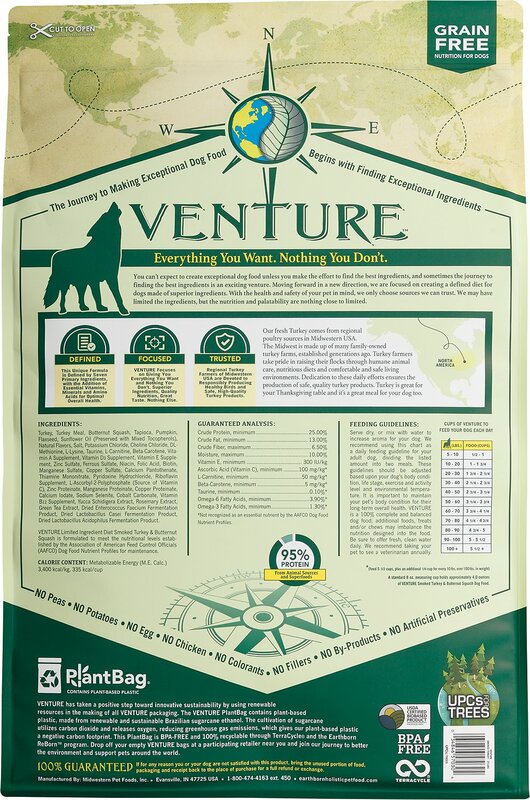 Earthborn Holistic Venture is a limited ingredient dog food that's formulated without filler ingredients. None of these recipes contain any grain, gluten, potato, egg, colorants, by-products or artificial preservatives, so even the most sensitive stomachs can enjoy. They're made with a single animal protein source from squid, Alaskan pollock, rabbit, pork, duck or turkey meal, blended with chickpeas, pumpkin or butternut squash for highly palatable meals your dog will love. Over 90% of the protein comes from a select few ingredients to create a dry dog food that helps your dog to feel their best while also tasting delicious. To bring you the safest, highest-quality food for your dog, Earthborn Holistic Venture crafts all of their pet food products in their family-owned kitchen in the United States. They traveled the world to find the best ingredients that are ethoxyquin-free and not genetically modified. Each of these thoughtfully selected ingredients is subject to rigorous testing in independent laboratories to ensure its nutritional quality and safety. Earthborn Holistic combines their love for dogs with their passion for the environment. Earthborn Holistic Venture is packaged in BPA-free PlantBags that contain up to 30% plant-based plastic and are made from renewable and sustainable Brazilian sugarcane. Their UPCs for Trees Program was created to raise awareness about the environment as well as to promote sustainability. To date, through UPCs for Trees more than half a million trees have been planted in deforested areas worldwide. Midwestern Pet Foods, manufacturer of Earthborn Holistic Venture, was founded in 1926 as a small milling company. This fourth-generation, family-owned business specializes in producing trusted nutritional dog and cat food, biscuits and treats. Their innovative recipes are designed to support your pet's overall health with balanced nutrients and wholesome ingredients. Crafted in the United States, Earthborn Holistic Venture offers a well-balanced option for environmentally conscious pet owners. Picky lab loves this food! I have tried several super premium dog foods trying to combat my Westie's yeasty skin with mixed results. The Earthborn Holistic Venture turkey and butternut squash seems to be doing the trick. He has been on it about two months and the yeast has remained at bay. He has had minimal itching and his ears are clear. And best of all, he eats it very enthusiastically. (He is not picky but I could tell he wasn't crazy about some of the other foods I tried.) I highly recommend this food if your dog suffers from allergies/yeast. 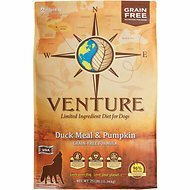 I have been looking for a dog food w/o salmon oil, canola oil, or fish oil. My dog is allergic or sensitive to over 80 different things. so far, after about 10 days he seems fine and he loves the taste. I was making his food at home but he never liked any vitamin supplements I tried. My dog has a very finicky gut and after years of home cook and medication we stabilized his condition. Limited ingredients, low fat, chicken free food is hard to find but this line meets our needs and he loves it. Transition was easy. I use turkey and the pork recipes to alter protein sources. Earthborne staff are very helpful. I had lots of questions. You can tell when a dog eats due to hunger, or just plain loves the food. I am hopeful that in addition to tasting pretty good, (I guess),this will help quell her licking her front paws raw due to allergies. I held back one star until I find out if there is improvement. It is hard to type with my fingers crossed!! Trying to find a high quality grain free food that all 5 of my standard poodles will like is next to impossible. 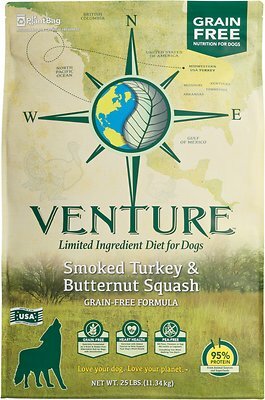 I've been searching for years and finally found Earthborn Holistic Venture Turkey Meal & Butternut Squash Limited Ingredient Diet Grain-Free Dry Dog Food . They gobble it up! Knowing I've found a food we both love is awesome! We have not been on this food very long going on the 2nd week. All I can say is he likes it. But he eats anything. I chose this because a friend feeds it to her corgis that also have allergies as well as weight issues. We are hoping for a weight loss. Please ask again in a couple of months. I purchased this product after finding out my dog has multiple allergies. This was the one of the few dog food products that does not have peas or chicken. The kibble is small, so less worries of choking. It also smells very good! Smells like actual food! I highly recommend.